©2000-2014 BTLeventhal.com / Bruce & Tamy Leventhal. All rights reserved. Today is March 12, and I am sitting in a valley surrounded by volcanos. Rincón National Park is my muse, and while photography is an important part of these travels, it is not my focus (pardon the pun). I am here with 16 high school students and they are immersed in their own research that examines the biology of leaf-cutter ants belonging to the genus Atta and Acromyrmex. Working in groups of four, these young scientists are exploring pheromone trails, caste hierarchies, symbiotic microbes, metabolism and ant behavior. Each project is of their own design, and focused on questions that were painfully extracted from the collective. This trip to to Costa Rica has been a unique opportunity to see how my work translates into something real. Each morning I venture out in search of solitude. Hours before breakfast, I throw on my well worn clothes, grab the gear and seek small moments that suggest the essence of this forest. Today began with an agenda... photograph the flock of cattle egret that cross the lowland forest. Until today, this migration has occurred with the regularity of a school bell. The clock hits 6:30, the flock traverses the lodge lagoon, and they disappear into the distant mountains. Recognizing patterns is my specialty, so I parked myself at the base of the lagoon, readied the exposure and waited. Time passed, but the birds never came. Evidently, nobody told me to resynchronize my watch... another ephemeral moment gone, and a new pattern logged into the books. Rather than giving in to this minor disappointment, I chose to follow the path to the three rivers. While this might sound like a Zen parable, it is quite literal. The trail weaves through the secondary growth into a river valley. Twice forked, this river diverges, converges and splits again. The trail is now familiar to me, having walked it every day and into the night. It is a place for landscapes or peace, the choice is yours. On this morning, I didn't make it into the jungle because a flower caught my eye. Swearing to myself that I was a fool for missing it before, the orchids (pictured) produced a spectacular bloom. It is now March 13 and as I finish this post, the orchids in this valley are now gone. It is an ephemeral phenomenon... a bloom for just one day. This was an unexpected present to a guy who just turned 49, I don't think couldt ask for a nicer birthday present. As I have spent the better part of this frigid winter chasing snowy owls, I can’t help but think about the tenuous state of the planet. Like the survival of our ephemeral visitors from the north, the ecology of the Earth lies somewhere between stability and chaos. 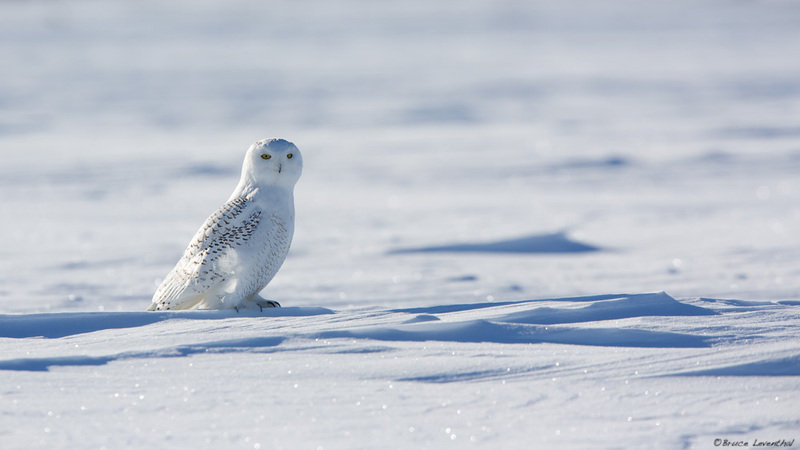 The snowy owl lives on the proverbial razor’s edge. With its tight winter budget, it must expend just enough energy to find food, but no more than the energy it gains from a successful hunt. So narrow is this budget, that many survive only to die during their migration north to the summer breading grounds. It is likely that the fine line differentiating stability from chaos is nothing new, but merely an observation that I and many others have made. Discussions about healthy ecosystem dynamics and catastrophic perturbations have been recurrent blog topics for me. Over four years ago I wrote about Project 350, and the Carbon Dioxide threshold we were quickly approaching. 350.org continues to advocate for Carbon Dioxide limits even as we blasted past the 400 ppm marker in May, 2013. In September 2012, I authored a rant about Minnesota’s senseless wolf season, and to this day, I continue to promote an end to a wolf harvest in a state that identifies itself with the very animal it is willing to kill. In December 2012, I shared my fears about the shrinking savannah and potential loss of Africa’s beloved megafauna. So with the intense cold that seems a paradox on this otherwise warming planet, I want to be that voice; a reminder about why it is important to care. Earth’s biodiversity is a precious present gifted to us all by the evolutionary process. This process is the very thing that has led to this consciousness capable of reflecting upon its own existence. Each and every organism, from the most diminutive microbe to the giants of the sea, are survivors. Shaped by constraints and limits, life competes, survives and thrives through the passage of a genetic self into subsequent generations. As humanity continues to bust at the seams of the tight jeans that is the planet Earth, I am in awe the survivors. These are the ones that remind me that we all live on an edge between stability and chaos.